Our Supply Chain Transformation services cover the full range of the extended supply chain from materials supply to the point of final sale. 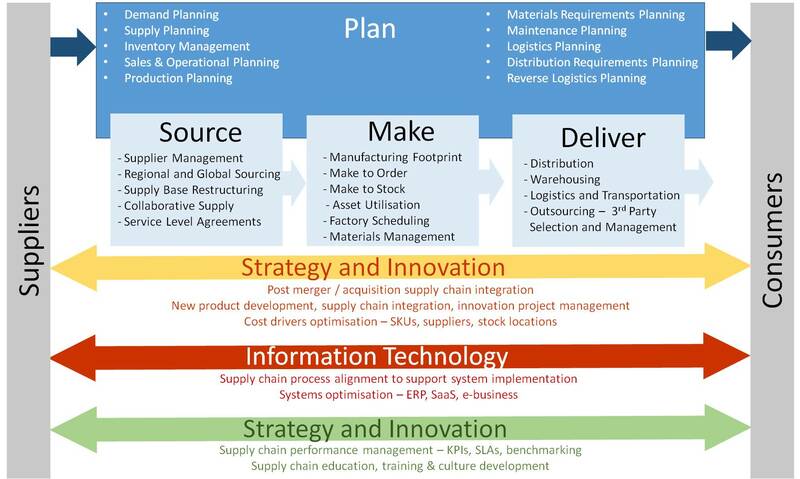 In many cases an initial first step is to undertake the Enchange Digital Supply Chain Assessment. In describing our services we have aligned them to the Supply Chain Council SCOR model (Plan, Source, Make, Deliver) and added the enabling processes of Strategy & Innovation, Information Technology, Human Resources and Performance Management.